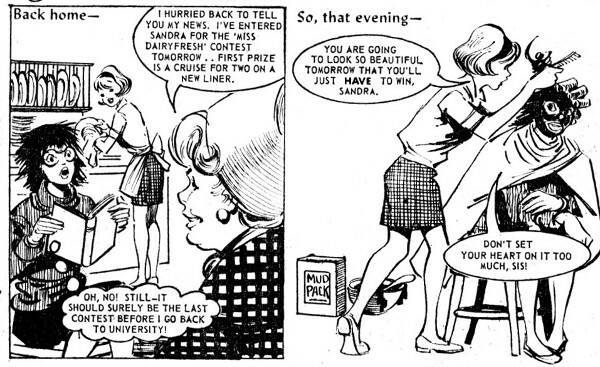 Sandra Peach was tricked by Kaye, her younger sister, into entering a beauty contest which, much to her surprise. she won! Sandra agreed somewhat reluctantly to enter more contests, but only on condition that her university studies didn’t suffer.